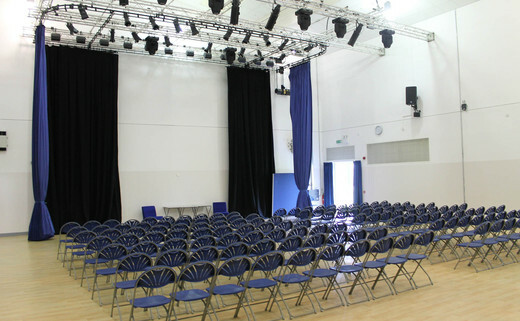 A state-of-the-art performance facility complete with seating, stage area and lighting. The perfect space for dance, drama, music and a whole host of other events and activities. Tiered and additional seating available. Viewing/sound balcony for lighting and performances. Curtain track and lighting all round the stage area. The facility can also be used for large fitness and exercise classes. Contact us for more information.